Despite our best attempts to live a healthy and toxin free life, there are times when illness or injury strike. In some of these cases (like trauma) conventional medical treatment is certainly warranted and I’m certainly grateful that medical treatment is available if needed. But what about the times when the illness or injury is not life threatening, but merely uncomfortable or limiting? 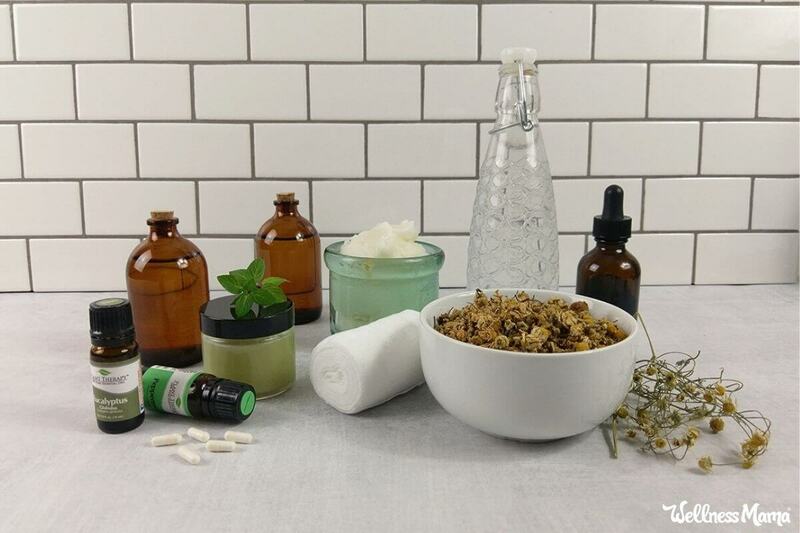 While our first instinct (especially as parents) may be to get medication to mediate symptoms, there are often natural remedies that don’t interfere with the body’s own immune responses and which can help ease uncomfortable symptoms. 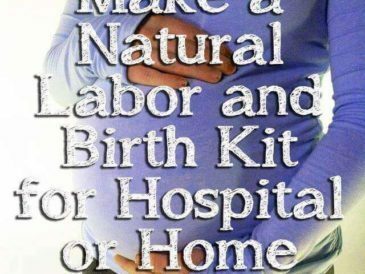 Many of these natural remedies can also be used in the comfort of your own home, rather than having to take yourself or your ill or injured child to a doctor and expose them (and others) to more illness. 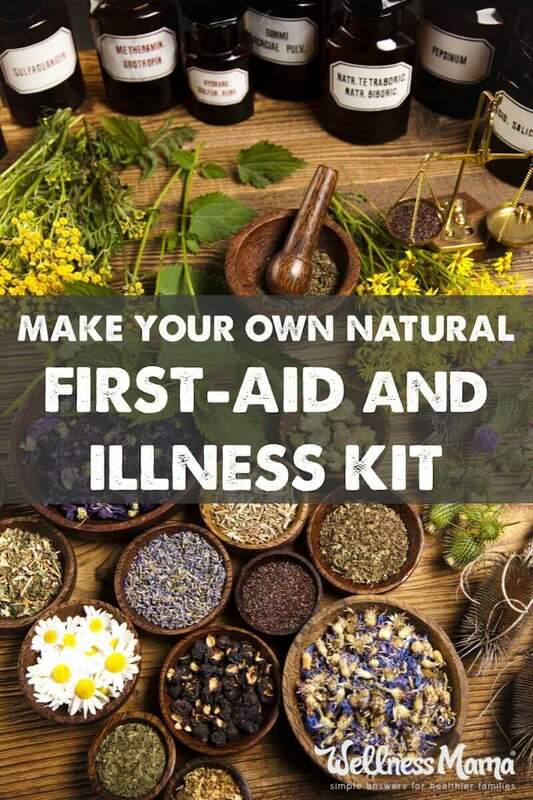 The following is a list of what is in my “First Aid Kit” and is a combination of remedies I’ve tested myself, ones suggested by a naturopathic doctor, and ones that I hope to never need! Please note that I am not a doctor and don’t play one on the internet, so this list is for informational purposes only and is not intended to be used as a replacement when medical attention is needed! Note: Since these are just loose herbs, they do take preparation in some cases, but buying them here is a less expensive alternative to capsules or pre-made remedies. I personally get most of my herbs this way and make my own tinctures and salves. Activated Charcoal: For acute use in food poisoning, intestinal illness, vomiting, diarrhea, ingestion of toxins, etc. Also keep the local poison control number on hand in case a child ingests a toxic substance and immediately take a child to the hospital if he/she has swallowed a battery or magnet! Arnica– Topical creme used for muscle pain or injury, bruises or any type of trauma. We’ve found that it greatly reduced healing time or bruises and sore muscles when used topically right after injury. Not for internal use or use on open cuts. Cayenne Powder– Though this is a good addition to many foods, it is even better to have in a medicine cabinet. I keep a few cayenne capsules in my purse as well. Topically, cayenne powder helps stop bleeding rapidly. I’ve read cases of it being taken internally during heart attacks to increase blood flow and help clear blockage, though thankfully, I’ve never had to test this one. It is also a useful remedy to take internally during illness as it increases blood flow and speeds recovery. 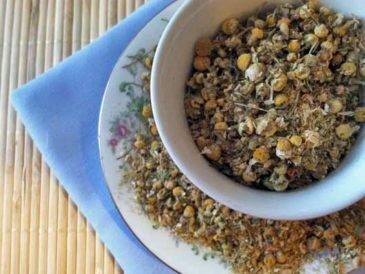 Chamomile– I use it to make a relaxing tincture that helps calm kids if they are ill or just have trouble sleeping. The tincture also works wonders on teething gums. The dried flowers can also be made into a poultice with some gauze and placed on an eye for 15 minutes every hour to reverse pinkeye rapidly (usually works in a couple of hours). Brewed as a tea, chamomile is a relaxing drink at night and the tea can be cooled and rubbed on the stomach of colicky infants to help sooth them. I sometimes add some brewed chamomile tea to the kid’s bath as it is great for the skin and promotes relaxation. I keep the tincture in my purse at all times. Comfrey-An external herb that promotes healing from injuries and broken bones. A poultice made with plantain and comfrey that is placed on a wound can greatly reduce the healing time and help prevent and reverse infection. 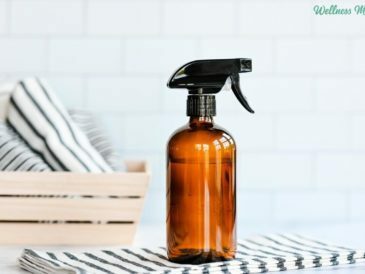 I make a homemade “Neosporin” with this and other herbs and use it on bug bites, cuts, bruises and poison ivy. It is best to keep the dried herb on hand for poultices and homemade salves. Eucalyptus Herb and Essential Oil– I keep on hand for respiratory type problems. We use eucalyptus herb in a face steam for congestion or sinus troubles and I make a mild (and petroleum free) version of Vapo-Rub for coughing and respiratory illness. The essential oil can be diluted with coconut oil or olive oil and be applied externally to the feet and chest to help open nasal passageways. Ginger Capsules– Ginger is great for nausea, reflux, stomach trouble and morning sickness. I also keep some in the car for motion sickness. It helps sooth the stomach after a digestive illness or food poisoning. Echinacea– I keep a homemade echinacea tincture on hand for severe illnesses. I don’t use it as a first resort, but it is helpful in prolonged illnesses. Peppermint Herb and Essential Oil– Another great digestive herb. For upset stomach or digestive illness, the herb is made into a tea. The tincture can be used internally or externally for headache or digestive troubles and when combine with a few other digestive herbs, it makes a highly effective digestive aid and nausea remedy. The essential oil applied behind the ears and on the feet helps alleviate headache or nausea and a weak tea made from the herb and rubbed on the skin can help sooth a colicky baby. We also use the essential oil in our homemade toothpaste. Plantain–Good to have the loose herb on hand. It actually grows in most places in the summer and looks like the picture at the right. You’ve probably pulled it as a weed without knowing it. It is a natural remedy for poison ivy, cuts, scrapes and bites. In a pinch, I’ve picked some from the ground, chewed and put it on a bee sting… it immediately relieved the pain. I keep the dried herb on hand at all times to make into a poultice for bites, stings, cuts and infection. My most recent use was on a confirmed brown recluse bite and a combination of plantain and comfrey in a poultice kept the bite from eating away the tissue and helped it heal completely. Slippery Elm-Helpful for sore or irritated throat or when you lose your voice. These lozenges taste great and are helpful for kids with sore throats. The herb itself can be used in tinctures or teas for sore throat relief. Apple Cider Vinegar– I keep a bottle of organic Apple Cider Vinegar with “the mother” on hand for digestive troubles, indigestion, food poisoning and more. Taken in a dose of 1 teaspoon per 8 ounces of water every hour, it helps shorten the duration of any type of illness, though it is tough to get kids to take it willingly. Vitamin C– Helpful for all illnesses, but especially flu-related illnesses. 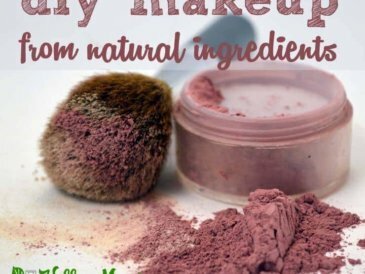 I keep the powder on hand because it is additive free and can be mixed into food or drinks to get the kids to consume it. Aloe Vera Plant-We have one growing in the house for burns and blisters. Epsom Salt-Good as a bath soak for sore muscles. Dissolved in water, it can also be a good soak to help remove splinters. Hydrogen Peroxide-I keep several bottles on hands at all times. 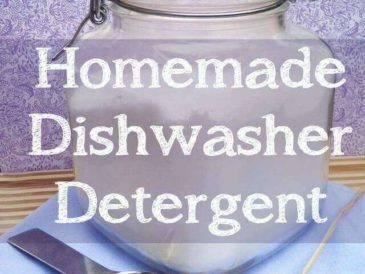 Besides using in my homemade OxyClean and for cleaning out wounds, it can help prevent ear infection and shorten duration of respiratory illness. At the first sign of ear infection or illness a dropper full of Hydrogen Peroxide can be put in the ear. The person then leaves the peroxide in for 15 minutes or until it stops bubbling and repeats on the other side. Homemade Neosporin (recipe here)- I make my own “Neosporin” Healing Salve (no petroleum needed). I keep it in small tins and in lip chap containers for on-the-go size. This “boo-boo lotion” as my kids call it, is used on cuts, bruises, rashes and anything else antibiotic ointment could be used on. Gelatin– I take gelatin regularly for its health benefits, but I also keep it on hand for first aid and illness. The natural gelatin in homemade chicken soup (from the bones and tissue) is one of the things that makes it so nourishing during illness. During any type of illness, the afflicted gets gelatin in various ways: in food, homemade jello, smoothies, in hot tea, etc. After surgeries or when there especially bad cuts that might scar, I also give gelatin to speed skin healing. There is evidence that it is also effective in improving blood clotting when used externally on a wound, though I have not tested this. 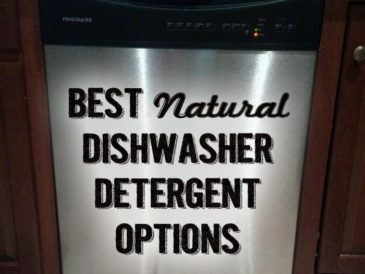 Baking Soda-Also a good remedy to keep on hand. For severe heartburn or urinary track infections, 1/4 tsp can be taken internally to help alleviate quickly. It can also be made into a poultice and used on sider bites. Probiotics-These are the strongest probiotics I’ve found and we use them during any illness and after the illness to repair gut bacteria. I’ve seen clients improve skin conditions with regular use of probiotics, and I especially recommend them to pregnant mothers, as newborn babies receive their gut bacteria from their mother and this can make a tremendous difference in if baby will get ear infections or illness in the first months. For children who get constant illness and ear infections, probiotics can also really help. Coconut Oil– I’ve said it before, but I am to coconut oil as the dad in My Big Fat Greek Wedding is to Windex. From skin salve, to diaper creme, to makeup remover, to antifungal treatment, I use coconut oil for everything. I keep some in the first aid kit to add remedies to to take internally, to use to apply tinctures and help absorption externally and for dry skin and chapped lips. There is also growing evidence that daily consumption of 1/4 cup or more of coconut oil can help protect against Alzheimer’s and nourish the thyroid. Superglue– On minor to moderate skin cuts (not puncture wounds) use superglue and butterfly bandages. I’ve used this instead of stitches several times and it healed faster and left less scarring than the places I’ve had stitches. Especially good for face and other visible areas that scar easily or in hair where other bandages can be difficult to apply. I’ve also use on fingertips or knuckles (I’m infamous for grating knuckles while cooking) or other places where band aids won’t stay well. Strips of sterilized muslin cloth in plastic bags for wrapping wounds. Homemade ice pack (just freeze liquid dish soap or rubbing alcohol in a double-bagged- ziplock bag and use as an ice pack. Do you use any natural remedies for illness or first aid? Share your tips below!